Director Chip Gertzog and the Providence Players are pleased to announce the cast for Little Shop of Horrors, the opening production of our 16th season and our first musical production since PPF’s 2005-2006 season. 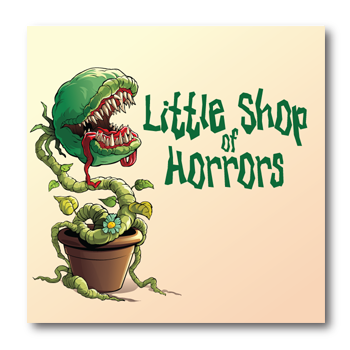 Little Shop of Horrors, with Book and Lyrics by Howard Ashman and Music by Alan Menken, is a charming, tuneful and hilariously tongue-in-cheek spoof of 1950s era horror films set to the doo-wop and R&B sounds of the 1960s. Little Shop is irresistible and never fails to entertain and is one of the longest-running off-Broadway shows of all time. Chip would like to thank all the talented actors who auditioned for this production and made the task of casting the show a most pleasant challenge. The production opens October 4th and runs through Oct 19th. The run includes two Thursday evening performances and a Saturday matinee as well as two Sunday matinees in addition to our long standing Friday and Saturday night performances; 11 opportunities in all to see the show! Click here for more information on the production. Season tickets, for what promises to be another outstanding season are on sale now online and single show tickets for Little Shop will be available online soon. Mike Khatcheressian as Mushnik – Mike previously appeared in PPF’s first production of “It’s A Wonderful Life – A Live Radio Play“. Tom Mirenda as the Voice of Audrey II – In his PPF Debut – Tom is a real life botanist with the Smithsonian with a wonderful voice and an eye to keeping us treating the plants right.